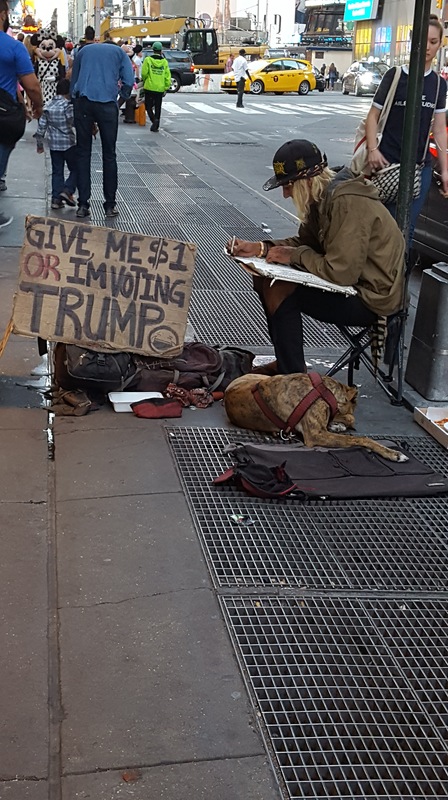 Last week on the streets of New York I took this photo of a man whose money box was almost full – people were paying him not to vote for Donald Trump!! This morning on the streets of Cape Town I met this young man from Somalia whose hero, when he was growing up, was Hilary Clinton. 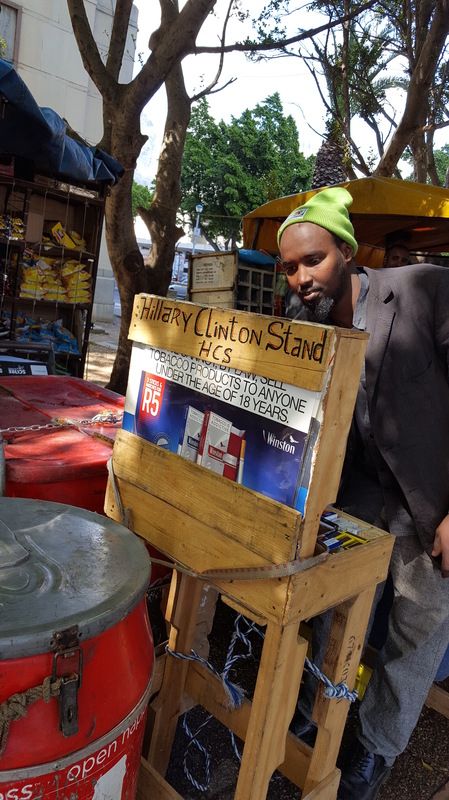 He named his cigarette stand after Hilary Clinton and is hoping she will win!! 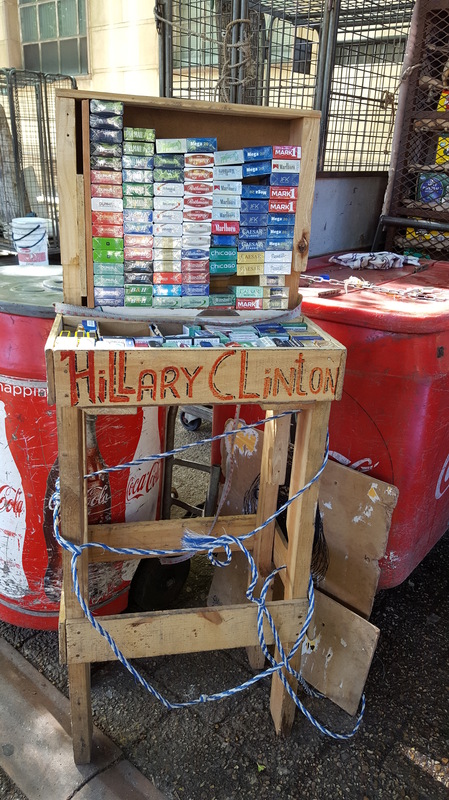 This entry was posted in Cape Town, New York and tagged Donald Trump, Hillary Clinton, life. Bookmark the permalink.